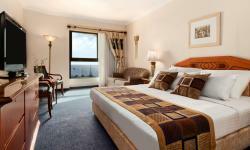 Welcome to the Hilton Eilat Queen of Sheba Hotel. 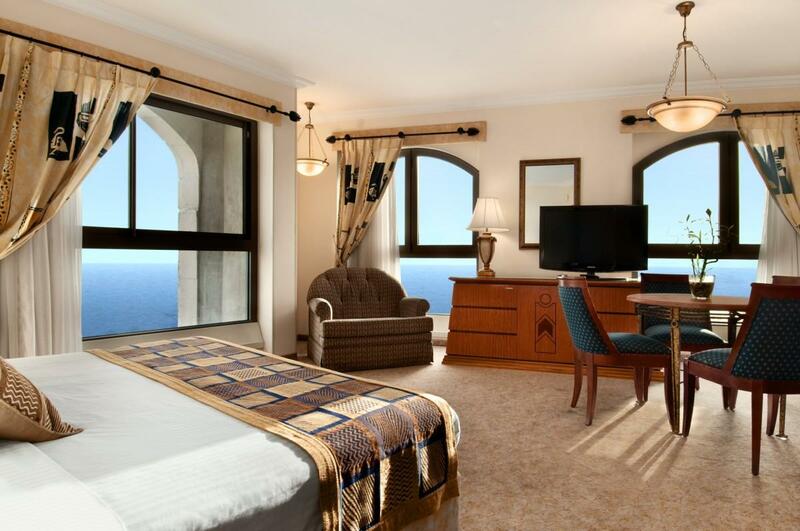 Located in the heart of Eilat, with stunning Red Sea views, this Eilat, Israel Hotel boasts a seafront pool, spa and adjoining shopping mall. 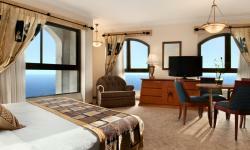 The Hotel is just five minutes from Eilat Airport and a two-minute walk from the North Beach, on the promenade. Discuss business in the Executive Lounge or unwind in one of the restaurants and bars. Visit the Makeda restaurant for flavorsome Israeli breakfasts and gourmet international dinner buffets. Savor poolside burgers and snacks at Ebony - Pool Restaurant & Bar, or enjoy delicious cuisine at Chicago Grill bar. Unwind with an evening drink in the Hilton Eilat Queen of Sheba Hotel. 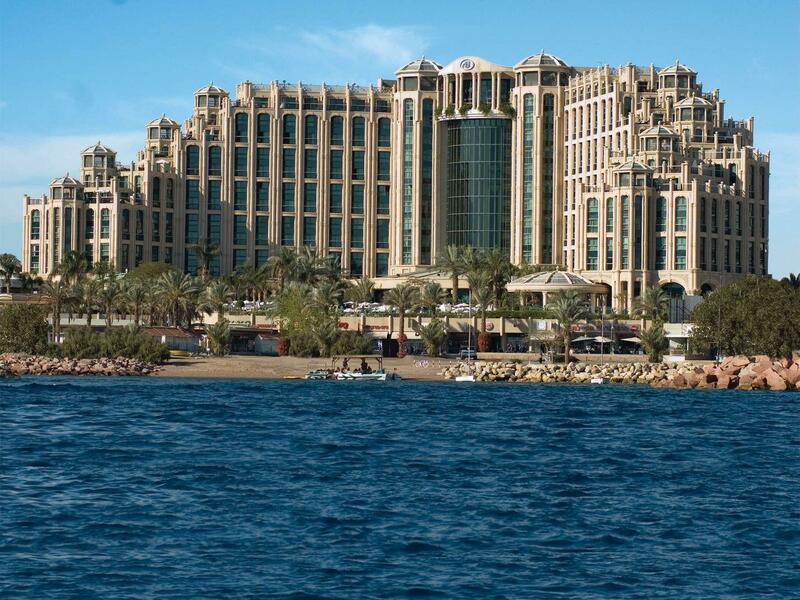 Enjoy live music in the Axum Lobby Bar or sip cocktails and enjoy breathtaking Red Sea views by the outdoor pool. 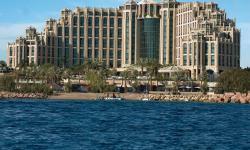 This Eilat Hotel has wireless internet access in nine meeting rooms and in public areas. Host a conference or special occasion for up to 700 people in the flexible meeting space, including the extensive eighth floor balcony and poolside area. Try water sports at the beach, rejuvenate in the gym, relax in the sauna or enjoy a massage in the spa. After an exciting day discovering nearby attractions such as the Dolphin Reef, Underwater Observatory and IMAX, retire to a stylish and sophisticated guest room. 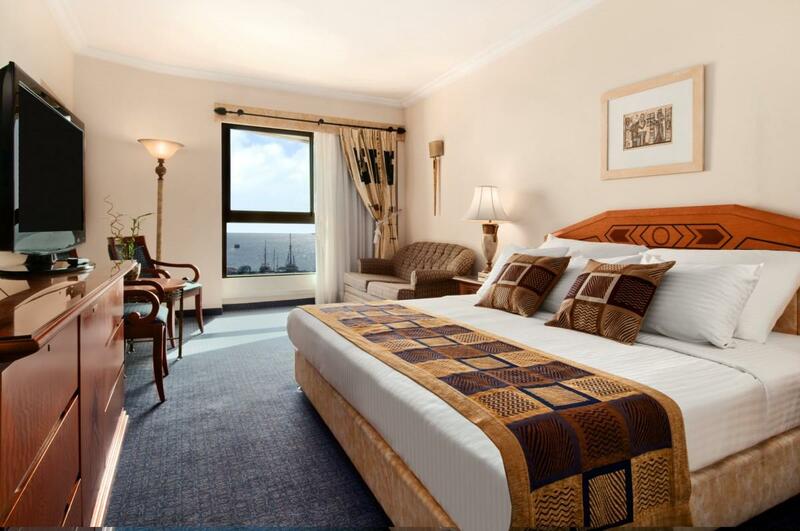 Enjoy sea, lagoon or mountain views, or upgrade to an Executive Room or King Alcove Mountain View room for additional space and full Executive Lounge services.